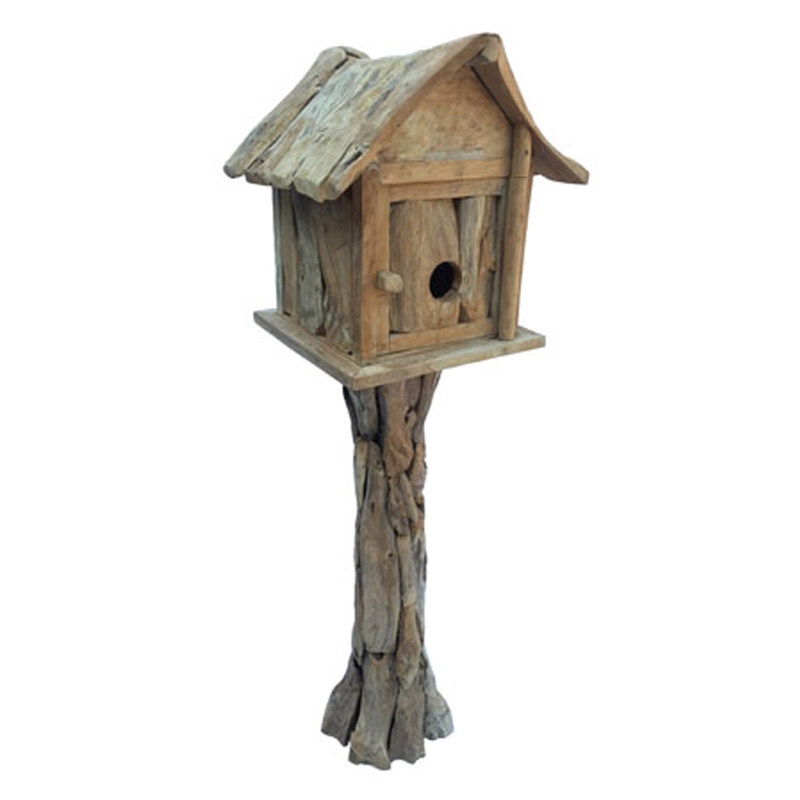 We are very proud to introduce this stunning Teak Root Bird House With Door. This piece contains a gorgeous teak root and wooden stand that resembles a tree log, holding up a stunning birdhouse. This birdhouse also includes a door as an added feature, making it look especially homely and perfect for anyone's garden.